Confession time … I am Social Media awkward Socially Media awkward socially awkward, especially when it comes to Social Media. I am the person who rarely visits Facebook … when I do, I rarely make comments. I am the person who will read blogs and forget to make a comment … or can’t think of something clever, so I say nothing. I am the person that signed up for a Twitter account … never tweeted. I am the person that finally has joined Pinterest … I have just a few boards. I am working on correcting my awkwardness … it’s not easy … I have to remind myself to be more Social Media friendly … it just doesn’t come natural to me. Heat the oven to 350°F. Line 12 standard muffin cups with paper liners. 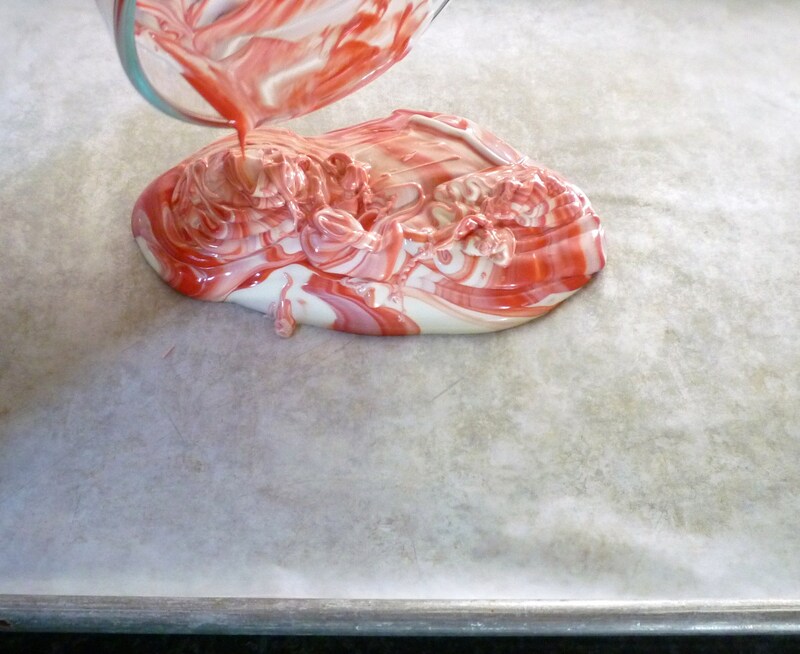 In a medium bowl, whisk together the flour, baking powder and salt. 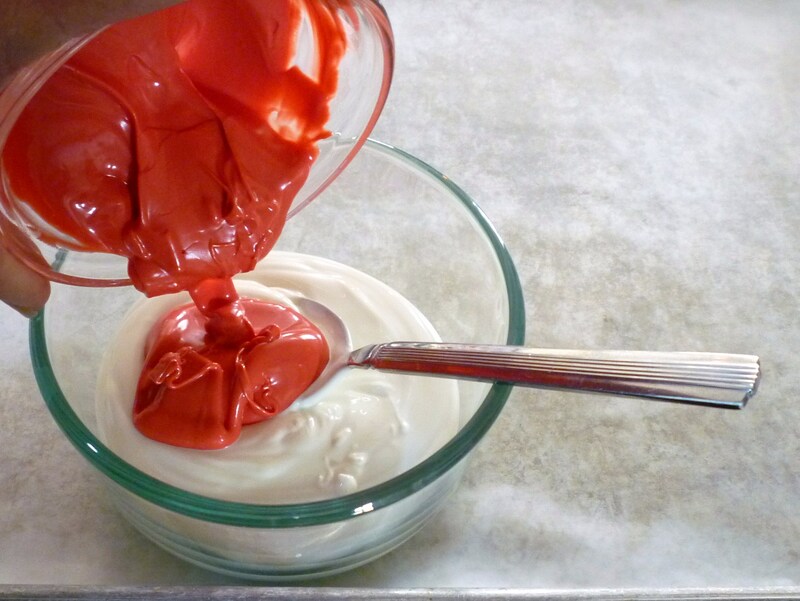 In a small bowl or measuring cup, stir together the milk and vanilla. Set aside. In a large bowl using a hand mixer, cream the butter. Gradually add in the sugar, beating until light and fluffy, about 5 minutes. Beat in the eggs, one at a time, until fully incorporated. Beat in the flour and milk mixtures, alternating 1/3 of each at a time, until each mixture is fully incorporated and the batter is smooth. Fill each muffin cup 3/4 full of batter. 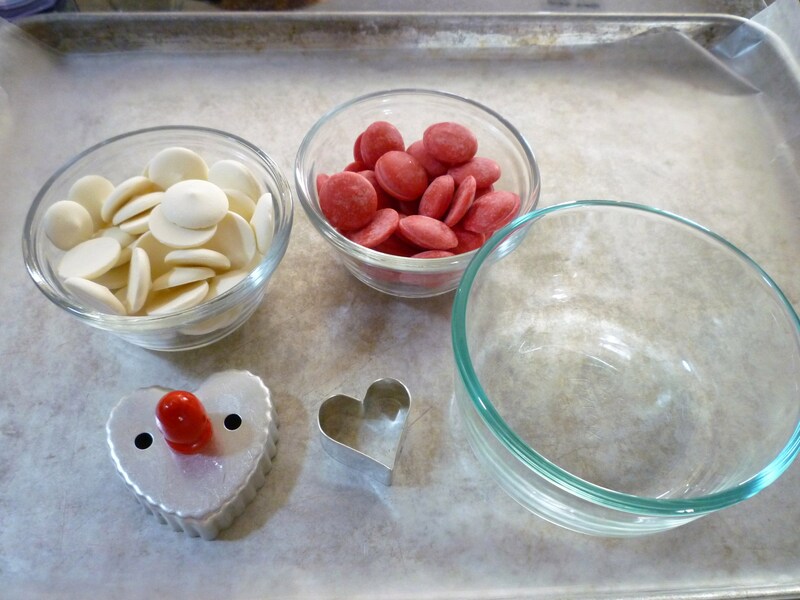 Bake the cupcakes until puffed, set and lightly golden and a toothpick inserted comes out clean, 18-20 minutes. In large bowl using a hand mixer, beat the butter with 2 cups of the powdered sugar until combined. 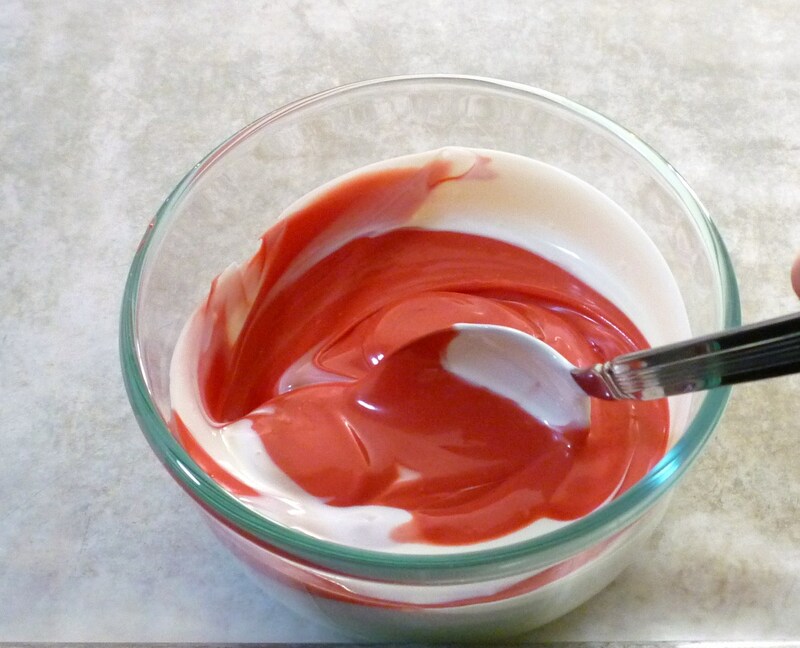 Beat in the cream and vanilla, scraping down the sides of the bowl and beating until smooth. With the mixer set to low-speed, gently beat in the remaining sugar until combined. Increase the speed and continue to beat until the frosting is light and fluffy. Awesome! Love Vanilla this are perfect! I actually use Facebook more than my e-mail! I even gave yours out to a Facebook friend who was looking for cooking blogs. As for blogs, I do work on my own and check out the (Scrapbooking) Design Team blogs I am on. I will do Blog Hops if I know I am available or have been asked to be apart of. I hear you about the social media…no tweeting here,instagram, etc. 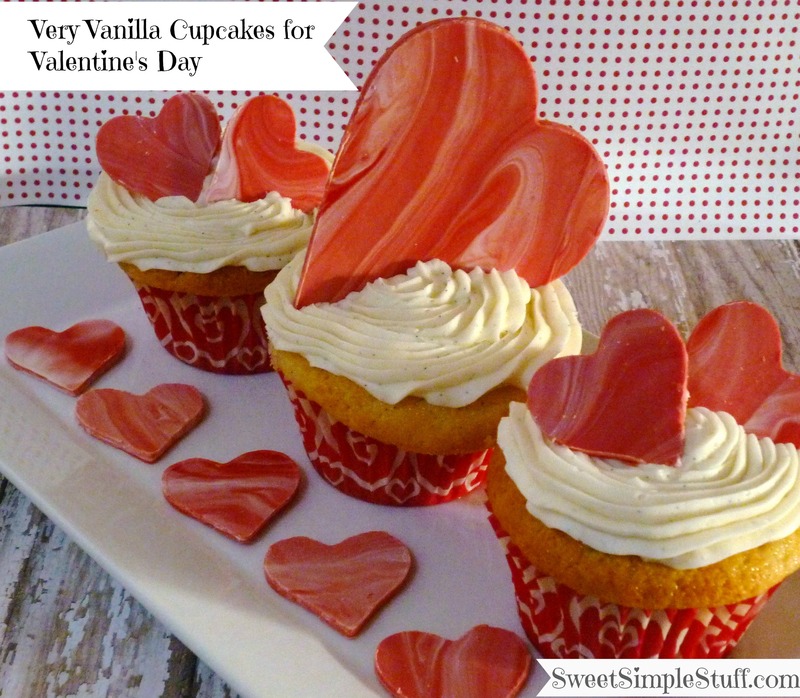 The cupcakes look wonderful and adore them cut-out hearts. I’m not a tweeter, don’t do facebook or any of that other stuff. I’m doing good just to make it through my emails during the day. I don’t even answer my home phone half the time. I feel if it’s important they can leave a message. A bit early; but wishing you a Very Happy Valentine’s Day. Cupcakes look really yummy:) I do not use Facebook or tweet,I do love Pinterest though,keeps my recipes all in one place! It took me so long to get the hand of social media – I’m still working on it – but now I’m addicted. And you’ have 100 Pin boards in no time, believe me! 🙂 These are pretty cupcakes! It’s raining here. Just wanted everyone that it does rain in Calif. I love these. My husbands favorite cake white. I especially like the large heart. That doesn’t just say Happy Valentines Day, it screams it. It would also be pretty with a little heart taken out of the middle. Thank you for your time. The rain hasn’t reached us … yet 😉 Your hubby is sure to like these … wasn’t sure about the big heart at first … it has now become my favorite! 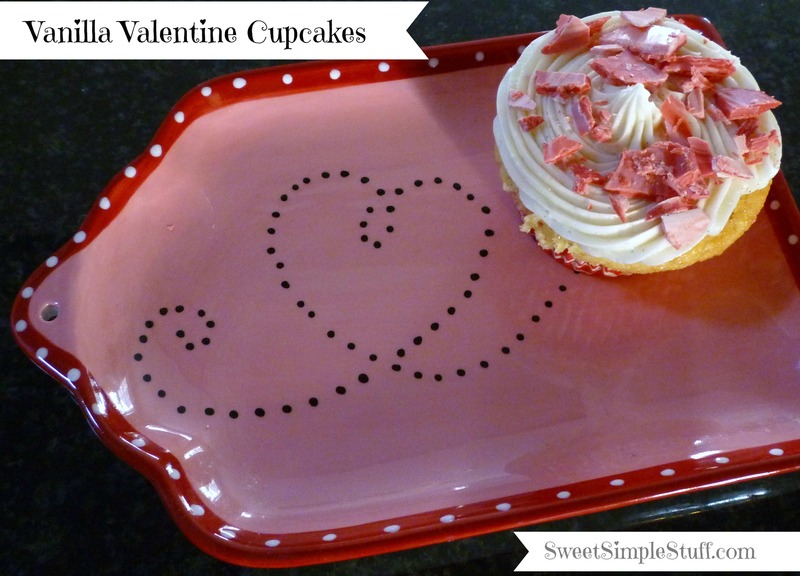 I love easy recipes for Valentine’s Day Cupcakes. Thanks for posting this one. I love the swirl in the cutout hearts! 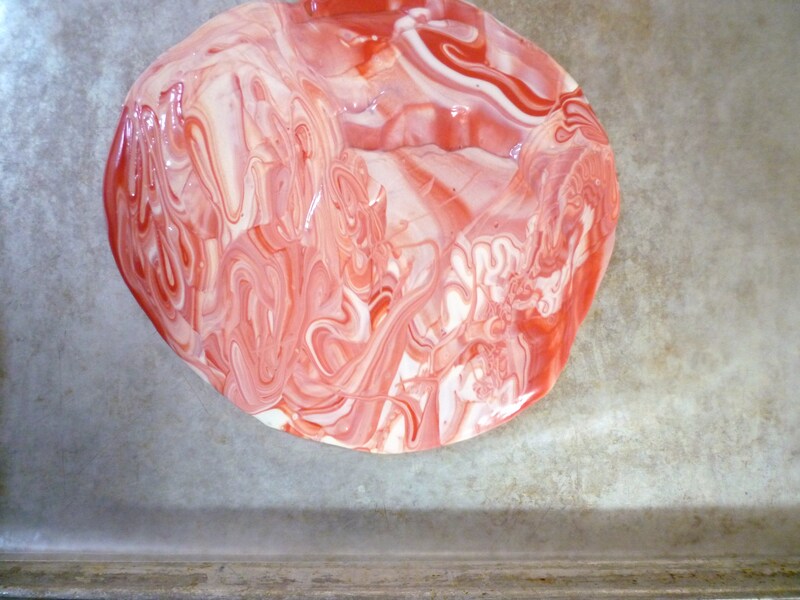 Love the marbled hearts. I can imagine cutting out swirly Christmas trees, shamrocks, Easter eggs, etc.. 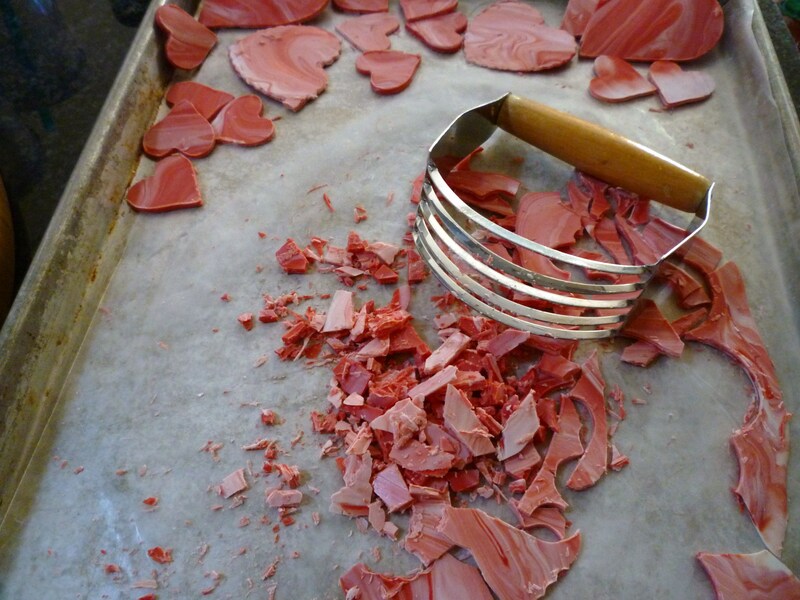 QUESTIONS: Did you use cooking spray on the cookie cutters? If so – need to do it every time you make a cut or just spray it once and you’re good to go? How do you guage the right time to cut them out? 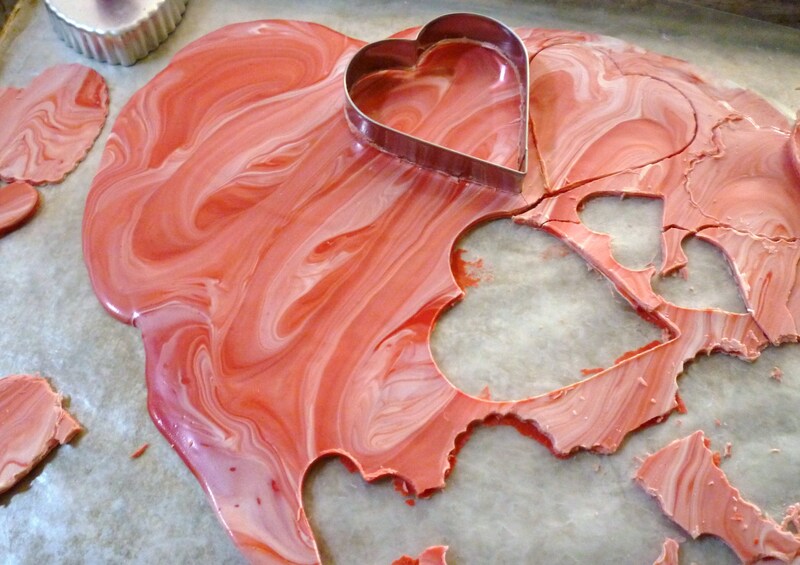 If you let the chocolate sit too long it will be brittle and you can’t use a cookie cutter.